" I'd like to add Charge-LED but that need very precise soldering on pin 36 AXP209"
You can remap the user define LED to this function. I did it for testing purposes and it seems to work. I think part of what you are looking for (AXP209 settings) is in the script.fex also. I don't get gps blackouts and is in the middle of a 2 story house with stucco on metal mesh. I never have less than 6 satellite signals. If you have the right dongle, gps is pretty reliable and robust. A bu-353 is pretty good. Besides this is an easy alternative for most people. For this application, who cares if there is power on usb after Power-OFF. I'm not powering off a small Battery and GPS Dongle power use is pretty minimal, so the AXP209 is a non-issue for me. Once the Banana Pi is powered and booted, satellite acquisition is pretty quick by the time of ntpd first poll. If your gonna use the Banana Pi for some work purpose, probably should have a decent UPS for it which should last for a long time. OK. no steps forward, but I thing POWER OFF w/o cuting power is problem with Raspian 3.0 for BananaPi and like other linux images should be fixed in version 3.1. Right now POWER OFF don't cut and discharge ACCU Also script.bin must be edited because it overwrite always AXP209 registry with another settings. This can be dangerous for peoples with 4.1V LiIo accu. I actually have a 2-cells 3.7v 1490mAh li-ion battery extracted from an old smartphone. Is it possible to actually use it with B-Pi ? really nice to finde some people also trying to use the BPi with a battery! It's really sad that this feature is not official! Some time a go I got the innards of some Verbatim powerbank from a good friend. the battery used is a 7799130N from Amita Tech. FYI: here is photo of my version. I was used capacitor PAS414HR-VA5R. It is more-less same, only difference is, that this one is longer than original one, then it is less comfortable to solder it. It seems like it is not valid, see first note: "The mainline Linux kernel makes no use of FEX / script.bin, and relies on the device tree model instead (.dtb files)." 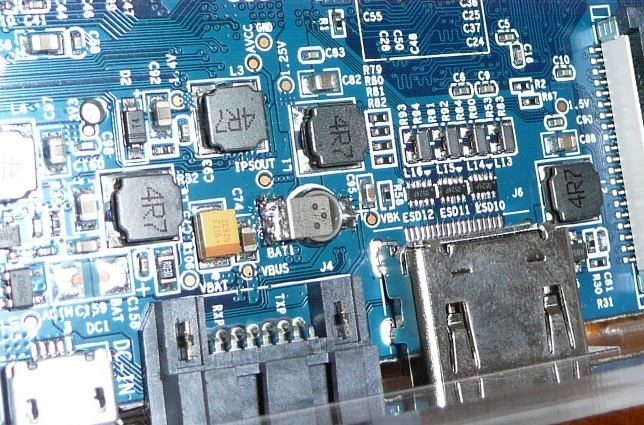 Why not just add a ds3231 module, it works good for me. that link is very usefull,.. I try many different way to use ds3231 and I very frustated because always failed before,.. but now, I succesfully use RTC modul for my BPI M1 and the is very simple..
thanks for link that you share,..